Save the Date! 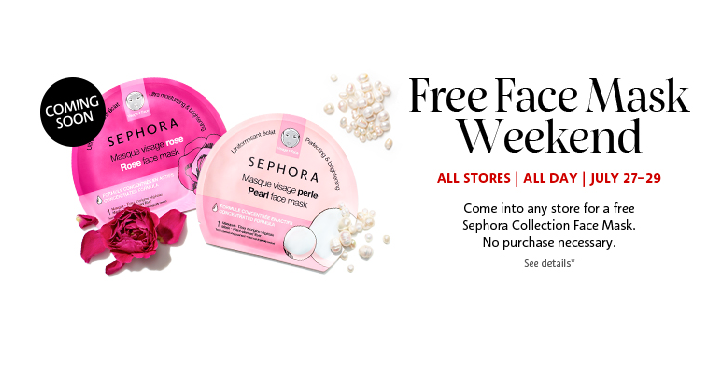 This weekend only, July 27th-29th 2018, Sephora is giving out FREE Sephora Collection Face Masks. No purchase necessary. This is only available at participating locations in-store. This would be a fun freebie to grab if you have a Sephora near you.